Jumpsuits are at the top of our hit list girl. Featuring a black slinky material, a ruched detail and wide-leg trouser. 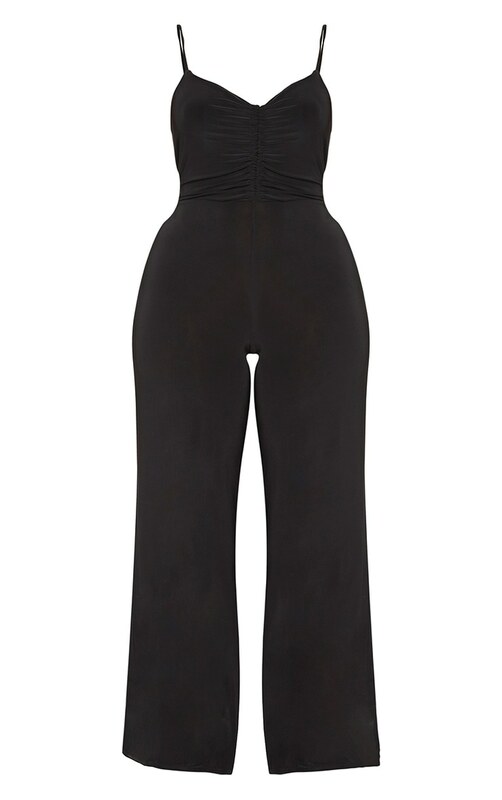 Dare top to toe black and style this jumpsuit with black strappy heels and a black clutch.